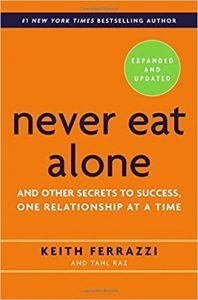 Never Eat Alone by Keith Ferrazzi is a book on the importance of people and networking. Ferrazzi says that a lot of problems, even in business, are not business problems but people problems. Smarts, talent and resources all matter.. But they still won’t do much by themselves without good people around you. Business is a human enterprise. When you strip any business to its core it’s always about people dealing with people. People selling to people, people working with people, people hiring people etc. etc. I especially liked the idea of connecting for safety, options and, ultimately, control over one’s life. 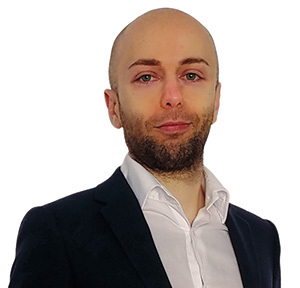 Ferrazzi says that in a world of shifting employments and shorter stints, connecting replaces the old loyalty and security that big organizations used to provide. This is an idea I espouse as well to give yourself more power and control over your own life (read: how to deal with a bad boss). Giving and taking are interlinked, you can’t just do one or you’ll only do half the equation. A network functions only as long as the different needs are recognized and met, and that’s at the core of the give and take. Finally, Ferrazzi proposes that you focus on giving first without keeping scores. The more people you help, the more help you will receive. And he paraphrases Kennedy in saying “don’t ask what people can do for you but ask what you can do for them”. Keith Ferrazzi proposes a goal setting path with a twist: adding people to it. Devise your goals in the next three years, then break it down by months and smaller goals. Then connect those goals to people who can help you obtain them. And then find what you can give these people and how you will reach them. Never eating alone means to keep your networking schedule always full. One connection might not pan out, but you must have another 6 engagements just like that lined up over the week through breakfast, lunches or after work events. As an up-and-comer you must do the legwork: stay visible, connect and network. To develop a good network, you need to be a valuable person for others. Ferrazzi says that to be interesting, you need to have some uniqueness. Talking about events and stuff is not enough, have an opinion on them instead. Forget about job titles: what’s your expertise? 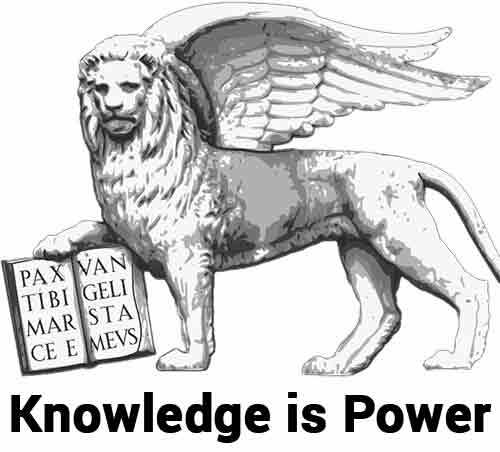 Become a master at something so that you can bring expertise to the table. Once you know who you are, what you stand for and what’s your expertise: build a compelling story around it. A brand is what everyone thinks of you when they see you or hear your name. Have a clear message associated to your and to your name. Keith Ferrazzi strongly recommends you find mentors. A mentor, different than a coach, is someone who is emotionally invested in you. Someone who really wants to help you and see you grow. The key to finding a mentor, as usual, is looking for what you can give them. I also recommend you read Mastery by Robert Greene for more on mentors. Share your contacts, make intros, give to your network. Making contacts will become a fool’s errand unless you stay in touch with them. Ping your network from time to time to keep the relationship alive. Always keep a full schedule of people you meet. From meeting people for breakfast to lunches to after work events, always be on the go and always exchange contacts. Keep a file of the people you meet. I do it, and I write some key info of people I see daily or whom I deem worthy. Another big takeaway for me is a powerful reminder that people are people. It doesn’t matter what their business card reads, we all want the same thing and we all equally appreciate people who connect with us and care about us. So do connect with the bigger names in the room. Several passages are a bit too much about the author and his accomplishments. Albeit Ferrazzi tells you to give and not keeping score, ultimately that’s not what he’s angling for. Connections for him as for your own utility. Which is normal, but it somewhat came across a bit too egotistical and self-referential at times. Never Eat Alone is a powerful reminder on something that is too often forgotten by many: business is about people. Anything people do, as a matter of fact, is people. People are always central to anything. It’s both easy to read and useful, I can recommend it.